I will start posting photos from my recent Thailand using daily photography themes :). So here is one for #wetwednesday , curated by +Susanne Schweiger. 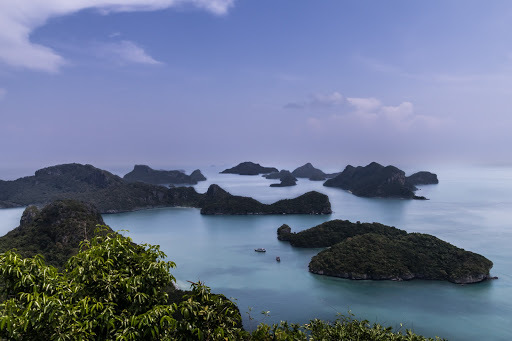 This is Angthong National Marine Park, with a nice view on the islands. Ravi que ça vous plaise chère Mélanie :). Tu aimais bien aussi le coucher de soleil de Samui ?